Divorce and Family Law | Suffolk County Law Firm | Phillip J. Jusino & Associates, P.C. Suffolk County Law Firm | Phillip J. Jusino & Associates, P.C. When you are facing a divorce in New York, you may feel as if your whole life is crashing down around you. Concerns regarding your children, finances and safety may be overwhelming, negatively affecting your work, health and your family relationships. When you are contemplating a divorce or going through a divorce right now, seek an attorney who possesses not only vast divorce law experience but an aggressive and competitive spirit as well; a lawyer who will fight to protect your rights, your children and your future. 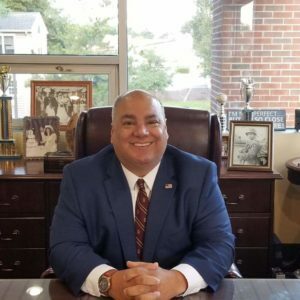 The divorce attorneys at Phillip J. Jusino & Associates have been providing zealous representation and strong negotiating skills to clients throughout Suffolk County since 1991. From the moment of your first call to our law firm, we listen to your situation, hear your concerns and guide you to smart solutions that will best serve your individual needs. Following a divorce, we will also file a post-judgment application in the event your ex-spouse fails to do what is required by your divorce decree. Call us at 631-588-3155 for immediate assistance and support you’d expect from a good friend. You may also send us your questions online for confidential and practical advice. Our mission at Phillip J. Jusino & Associates is to serve your legal needs by zealously representing your interests with the highest degree of professionalism. Your initial consultation is free, and we offer round-the-clock support. Issues involving your family — whether during a divorce, custody dispute, child support matter or adoption — can quickly become emotionally draining. When you are facing a family law matter in Long Island, seek the help of a lawyer who honestly cares about the outcome of your legal matter and who will fight for your rights and the rights of your family. At the law firm of Phillip J. Jusino & Associates, P.C., our aggressive attorneys are in the trenches every day, pursuing the rights of our clients. Even if your family law matter is a joyous occasion, such as adopting a child, a lawyer is often necessary to correctly file and process all of the necessary paperwork. At Phillip J. Jusino & Associates, P.C., you are always treated like family. Since 1991, we have remained dedicated to providing hands-on assistance, going all-out for clients throughout Suffolk County. Contact us online or call us today at 631-588-3155 to schedule your free initial consultation. Your success is our success.